Picking up the torch from H.R. Giger’s snarling, serpentine Xenomorph and Alien: Covenant, Empire has elected Spider-Man: Homecoming to be its latest cover star in anticipation of Jon Watts’ reboot swinging into theaters in two months’ time. The standard issue is expected to hit store shelves on Thursday, May 18th, and the outlet promises a deluge of new content comprised of Luc Besson’s wildly ambitious sci-fi tentpole Valerian, the “first word” on Star Wars: The Last Jedi, Transformers: The Last Knight, Wonder Woman, and Taika Waititi’s hotly-anticipated Thor: Ragnarok, so stay tuned for more. If you’re an Empire subscriber, you’ll likely find that this month’s issue is either on its way to you, or that it’s already popped through your letterbox. 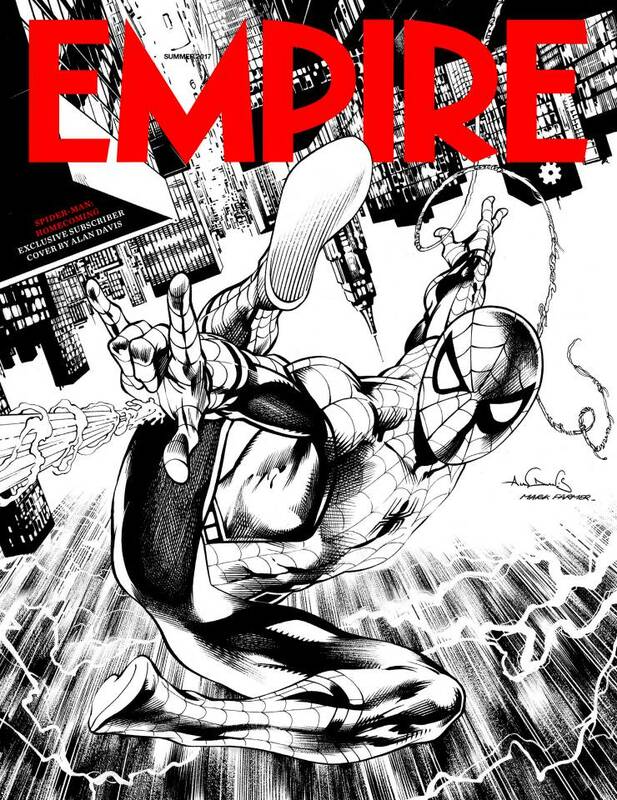 It’s a real treat, too (see below), as the outlet enlisted legendary Marvel artist Alan Davis to design a special cover for Spider-Man: Homecoming. Meanwhile, the standard cover features Tom Holland’s Web-Head hitching a ride on the New York train. Equipped with Bluetooth headphones and a suitably confident pose, you’ll also be able to locate the re-modelled Avengers Tower in the backdrop, which dominates the Manhattan skyline. Of all the many members of Earth’s Mightiest Heroes, it’s Robert Downey Jr.’s Tony Stark that’s set to feature in Homecoming, building on the quirky father-son dynamic introduced via last year’s Civil War. Now that Guardians of the Galaxy Vol. 2 is out and doing gangbusters – James Gunn’s sci-fi sequel has so far collected $632 million at the worldwide box office, and that number will only continue to climb – all eyes are beginning to turn toward Marvel’s second offering of 2017, Spider-Man: Homecoming. July 7th is the date for your diaries, and if you’re curious to see how Michael Chernus’ The Tinkerer will look opposite The Vulture (Michael Keaton), we’ve got you covered.